List Dad Guest Post - Matt wrote above my first guest post on 30 September that this would hopefully be the first of many offerings from me. Whilst on the surface this sounds like a compliment or, at the least, a ‘buttering up’, I’m not convinced. Could it be that, having set such a fast pace with his dazzling succession of reports from the front line of London bars, bistros and street food, he wants others to share the burden? There are several potential elephant traps from my point of view. For example, how to describe food without ending up in Pseuds Corner? 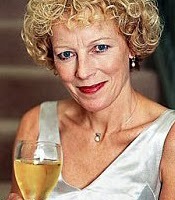 Does anyone remember Jilly Goolden who stuck her nose into glasses of wine on the original Food and Drink programmes in the 1980s before coming out with phrases such as oodles of freshly turned manure laced with the aroma of a camp fire plus the occasional hint of wellington boots? And how does one define a great meal as opposed to one which is good or adequate? I believe I know when I have had a really outstanding meal but am unsure of my ability or qualifications to put it into words. Could this be why the legendary A A Gill and Giles Coren spend two thirds of their reviews philosophising about anything other than the food or the restaurant in question? Ignoring these words of warning, I will plough on, beginning with a comment on the lists of best UK restaurants which have been appearing on the Internet or falling out of the Sunday papers with great regularity over the past weeks. There will always be the same few restaurants near the top but, lower down, the divergence of opinion is remarkable. 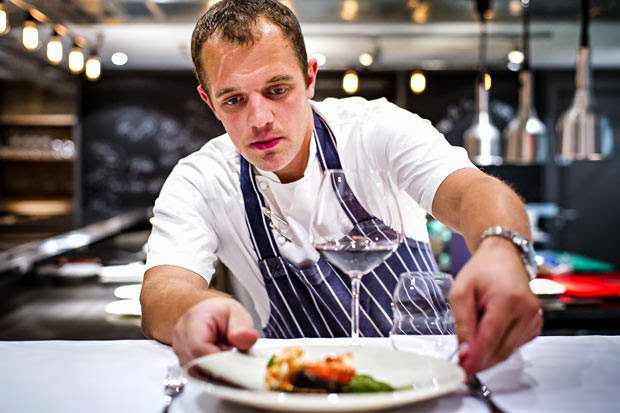 How can Dabbous be at number 11 in the 2013 National Restaurant Awards and not in the top 100 of others? In passing, at number 1 in the NRA list is The Hand & Flowers in Marlow, Buckinghamshire which I am visiting for the first time in January. This may have missed out on other lists because it is a pub. Kitchen Table, the restaurant I wish to recommend this week, has only featured in one list seen by me, but it stands apart from other eating places not just for the quality of its food but for its theatricality. 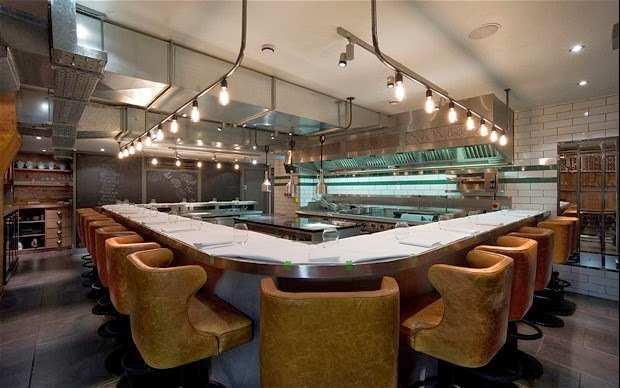 Chef James Knappett has taken the concept of a chef’s table offered at other top restaurants and has turned his dining room behind Bubbledogs into one big chef’s table where nineteen diners sit round the kitchen on leather high chairs at a horse-shoe bar. James (late of Marcus Wareing at the Berkeley and Noma) is a most engaging host and is happy to chat to his guests as he and his team prepare twelve to fourteen courses, describing why he has chosen the combinations of flavours and where he has bought, found or foraged the ingredients. On our night, for example, there was foraged wild garlic and a dish of sand eels (not cooked there before) with nettles. The menu varies daily, and follows the current fashion of describing each course (on a blackboard) with one or two key words. When we visited, one of the most intriguing courses was beetroot and liquorice. 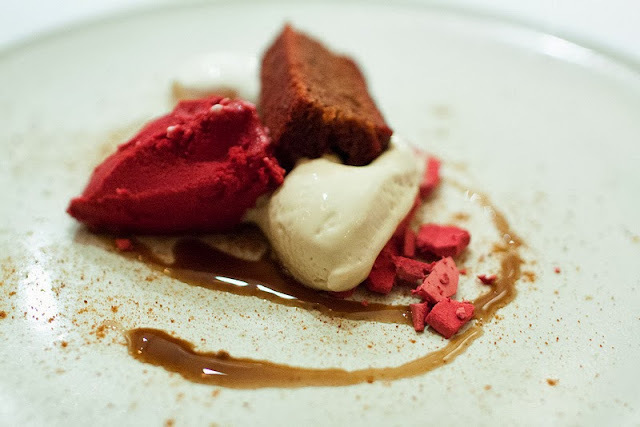 This turned out to be a fabulous pudding comprising a warm beetroot cake, sorbet and meringue matched with liquorice ice cream. James explained that this came about because he snacks on liquorice as he cooks and can’t resist trying it out with other ingredients he has to hand. This is an experience like a great night out at the theatre, with the best seat in the house.